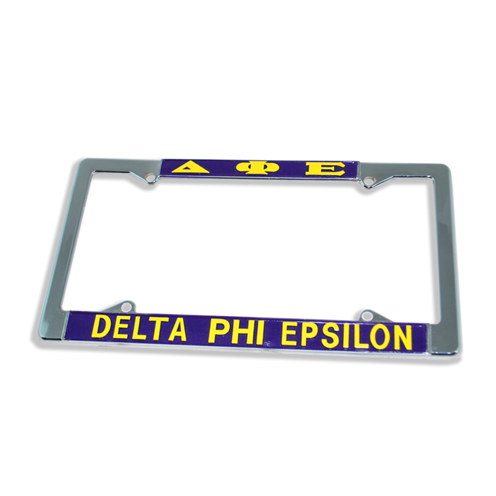 Sorority travelers will get plenty of use out of this Delta Phi Epsilon Chrome License Plate Frame. It's so simple and understated yet other Greeks seem to notice it right away. Don't be surprised if you make more than a few new fraternity and sorority friends while on the road!